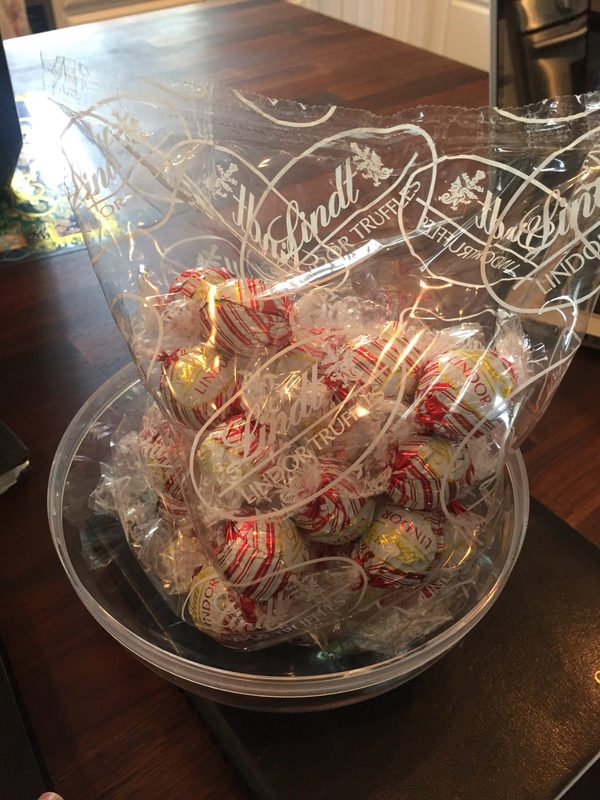 Mama and I fell in love with Lindt Lindor Peppermint Truffles a few years ago after a sample lady at Costco insisted we add one to a cup of hot chocolate. Minds blown! I found this giant version a while back and brought it home because I knew Mama would find it hilarious. After enjoying the jumbo version as decor for a while, it got buried amongst our projects on the table and we forgot about it. I unearthed the treat again when I was preparing for Family Game Night. 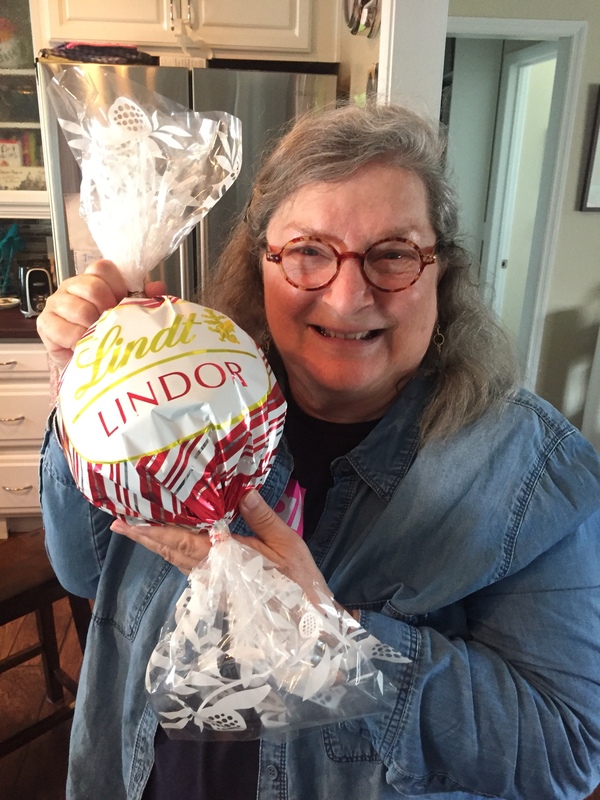 The humongous truffle still made Mama giggle wth joy, and today we finally opened it. The enormous wrapping was actually hiding a transparent, globe-like candy dish filled with a bag of White Chocolate Peppermint Truffles, sealed for freshness. Today’s #OneGoodThing was enjoying our fun candy dish with Mama! Day 97 of 365. And Day 828 in a row (here’s the first 366 & the following 365)! 2 years ago today: My first SOLO jab!